The FIA is facing a challenge over Formula 1’s engine freeze, as some teams believe there is a loophole in the 2015 regulations that could hand them extra development time. With attempts to convince Mercedes to relax the freeze rules to allow rivals a mid-season upgrade having failed, Renault and Ferrari are now pondering how best to make up ground over 2015. One issue that has emerged in recent technical meetings with the FIA is that there is no date specified in the regulations for when 2015 engines must be homologated. Although it is widely believed that the new upgraded power units have to be lodged with the FIA for the first race of the season, some teams believe that the way is open for them to not homologate their engine until later in the year. Such a delay could prove valuable in allowing longer development time to make further improvements. The matter was brought up by Ferrari technical director James Allison in recent technical meetings with the FIA in Abu Dhabi, but the governing body argued that although no date for homologation is set, other clauses in the engine regulations make it clear what can be done. The FIA argues that the clause prevents manufacturers from running two types of engine in one season, making a late homologation impossible. However, teams argue that a manufacturer would still only be homologating a 2015 engine, as any running earlier in the season would be done with its 2014 unit. One high level source at a team said Ferrari was not alone in questioning the rules. “There is no specified date to homologate the engine, so in theory you could wait a few races before doing it,” said the source. Although the FIA has expressed its opinion, the door is open for teams to ultimately challenge the matter with race stewards at the Australian Grand Prix if they wanted. An FIA spokesman made it clear, however, that the governing body hoped to have the matter resolved well before the first race. “Our position, as stated very clearly in the meeting [in Abu Dhabi], is you can only have one type of homologated engine per year,” he said. “So whatever you turn up with in Melbourne is your homologated engine. “It was always envisaged, although not explicitly stated in the rules, that manufacturers would have to deal with modifications on the engine within the constraints of the rules, and then submit their 2015 engine [at the first race]. “It is simple, but when you read it [the rule book], it doesn’t say that unfortunately. “However, you have paragraph 2 of Appendix 4 and countless meetings beforehand where it was made clear. Honda, as a new F1 manufacturer, has been told that its 2015 engine must be homologated by February 28 next year rather than for the start of the season. London’s Formula E fixture in Battersea Park has been given final approval by the local council. Wandsworth Borough Council’s community services overview and scrutiny committee last week approved the plans for the Formula E Championship to host its seasonal finale in the London Park at end of June next year. That decision is due to be rubber-stamped by the council’s executive this week, but the race will still be subject to the necessary planning permission being obtained for the temporary structures required to turn the grade II listed park into a racing venue. Tentative approval for the race was given by the relevant council committee in September, but the final decision was delayed from a planned extra-ordinary meeting of that body in October until last week. That was to allow time for the Heritage Lottery Fund, which made a major investment into the park’s infrastructure between 1998 and 2003, to have its say. The council only gave its blessing to the Formula E fixture after the HLF concluded that the event was appropriate for the park. The all-electric event will take place on a track made out of the park’s perimeters roads measuring just under two miles. The London event, scheduled at the moment for Saturday, June 27, could become a two-day double-header. Formula E boss Alejandro Agag revealed at the Beijing series opener in September that one of the European venues could hold two races to bring the inaugural championship up to 10 rounds. 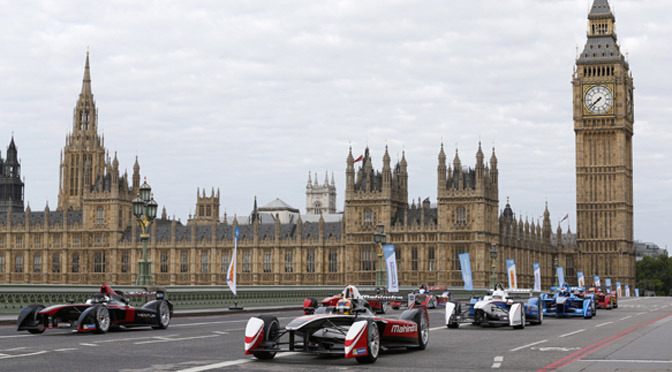 A spokesman for Formula E said: “It is an option for London and we want to give ourselves that possibility. British Touring Car champion Colin Turkington has admitted that he may need to switch teams to continue in the championship next season. 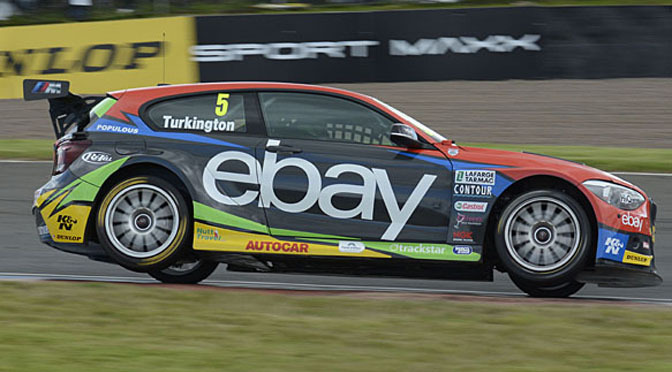 Turkington took the 2014 title with the West Surrey Racing BMW squad, which lost main sponsor eBay last week. Although the team is looking for a replacement backer, and Turkington is keen to stay, he admitted that he is now looking at different options. “With eBay not being involved it is making it difficult for me to be there,” said Turkington, who was forced out of the BTCC after taking his first crown – also with WSR – in 2009. “It came as a real surprise to all of us. “My number one priority is to be on the BTCC grid. I see myself as a British Touring Car driver and I don’t want a repeat of 2009-10. Turkington also said he was happy to race rear-wheel-drive machines, like WSR’s BMW 125i M Sport, or front-wheel-drive cars, which form the majority of the grid. “You want to put yourself in the car that has the best chance to win, irrespective of whether it’s FWD or RWD,” he added. F1 supremo Bernie Ecclestone says he is disappointed in Sebastian Vettel for the way he behaved during his difficult 2014 campaign. 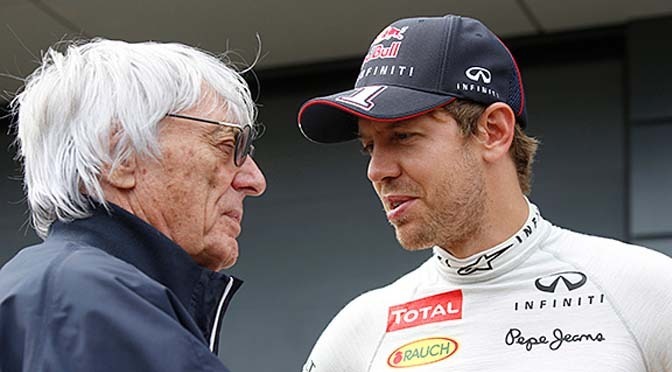 Ecclestone, who has been a long-time supporter of Vettel, believes the German adopted the wrong approach in getting frustrated by the troubles he had with poor reliability and a down-on-power Renault engine. “I’m a super supporter of Sebastian, but I’m a little bit disappointed with his attitude, which I think has changed,” said Ecclestone, in the foreword to the official Formula 1 season review. “He’s acting like a defeated guy, and he isn’t – that’s not his mentality. Ecclestone also suggests that Fernando Alonso could have acted better during a troubled second half to the season that resulted in him parting ways with Ferrari. 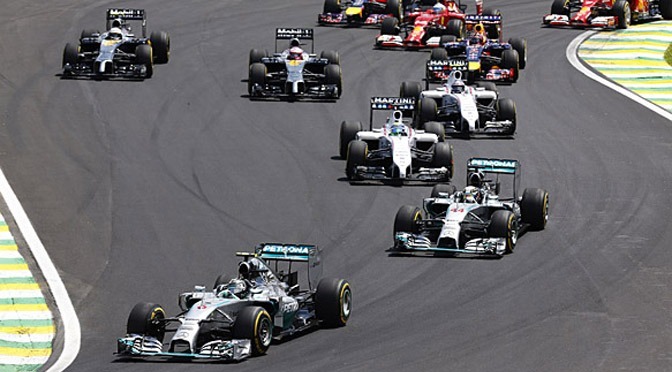 “Ferrari was very disappointing, getting lost somewhere,” added Ecclestone. Ecclestone reckons, on the back of Mercedes’ dominance, 2014 could have been a terrible season if the Brackley-based outfit had not let its drivers race against each other. “If we hadn’t been lucky with Nico [Rosberg] and Lewis [Hamilton] racing each other and one of them had got away and been dominant, the season would have been over by Silverstone,” he said. “We’ve been extremely lucky with what happened, these two guys have been racing each other and it’s good that Mercedes allowed them to do that.